The home town advantage. It’s what we give you. When you bank at Farmer’s State Bank, your money stays in our communities, to be reinvested in the things that are most important to you. From consumer & business banking, to mortgage services, CD’s & IRA’s….even crop insurance….let your hometown bank help! 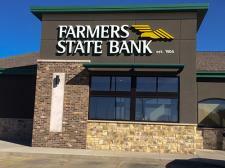 Call us at 605-297-3683 or visit our website at www.farmersstatebanksd.com and let us help!